Encounter Jesus anew as He reveals His love in your life and marriage. We know it’s important -- but loving God and loving others is sometimes hard to pull off. In fact, spiritual awakening, effective discipleship, church relevance and meaningful relationships are all dependent upon what Christ called, “the Great Commandment.” Jesus made it powerfully simple: We must love Him and those He loves! These resources will deepen your love for Jesus and help you live out that same love in your marriage, your family and your community. You’ll be challenged to engage in a lifestyle of prayer, caring and sharing of Christ’s love to other people. You’ll find resources that invite you to encounter Jesus in fresh, new ways. You’ll even learn what it means to actually experience God’s Word and discover what God can do when we enjoy true fellowship with Him and His people. Daily- Intimate Moment Marriage Devotionals: Each day you will receive a short devotional that’s designed to prompt intimacy and closeness between you and your spouse. Learn how to meet the relational needs of your partner in meaningful ways. Monthly- Loving God Meditations: These 3-minute meditations provide opportunities for fresh encounters with Jesus. You’ll come to know the real Jesus and fall deeper in love with Him. Monthly- Christ Awakening Prayer Guide: Join other followers of Jesus in unified prayer for Spirit-empowered renewal. You’ll find focused prayer guides on the critical awakening indicators of our day. Monthly- Marriage Staff Meeting Ideas: Short, practical ideas that will strengthen the relationship between you and your spouse. Monthly- Family Night Ideas: Short, practical ideas for deepening the connection between you and your kids. 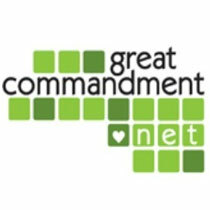 Monthly- How to's for Great Commandment Living: Each month you will receive a fresh audio or video piece that's designed to deepen your love of God and encourage your love of others. Monthly- Preach2Engage Ideas: The list of practical ideas will prompt you to live out a prayer-care-share lifestyle. Gain access to current strategies that will help you express your faith in meaningful ways. Channel content is released on a pre-set schedule and will be delivered to your Daily Feed accordingly.